Reading and writing are two of my favorite things to do. I love sharing my personal experience and my thoughts so others can compare the way they think. Therefore, I love to review books. Young Adult fiction. Chick-lit. Contemporary. New Adult fiction. 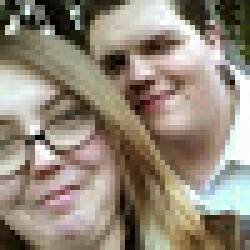 Any recommendation taken. Abigail Rook is our main character. R.F. 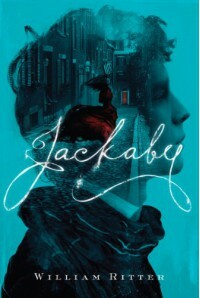 Jackaby is her eccentric employer. Charlie Cane is a junior detective in the police force. Marlowe is Charlie's boss and head of the police force. Abigail Rook is a naïve young woman that has left her parents to answer to a flier that said "EXCITING OPPORTUNITY". It shortly fell through, as anyone could guess, and she ended up buying a ticket on a giant ship. There is no way this girl would let her parents win. She has been denied adventure all of her life. Now, the reigns are in her hands. When she ports, she goes to a bar and a man approaches her, asking her all about her travels, like he was on the ship riding next to her the entire time. Instead, she asks and he informs her that he is some type of investigator. When he leaves the bar, she asks around who the man was. 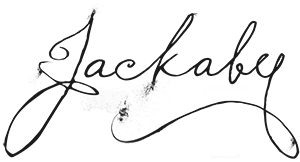 They all tell her that he's R.F Jackaby. And that he swears by mermaids. She starts looking for a job and everyone tells her to go to the Post Office. There, she finds another flier……. This one reads: INVESTIGATIVE SERVICES NEEDED. So, she takes a ticket and goes to the address. If you can appreciate an unexpected turn of events all of a sudden, you will be in for a treat. This book will deliver. 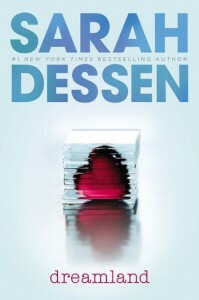 Dreamland by Sarah Dessen is about a girl who gets caught up in all the wrong people, places, time and things. After her older sister leaves, Caitlyn takes on the responsibility of being "the golden daughter", trying to become the apple of her parents' lives. Everything is good for a while. Until it isn't any more. . . . . In my honest opinion, this book had a lot of open-ends, leaving a lot of things unresolved. as I wish they were. The general story line was a good one, I just feel like it could've been attacked from a better angle and with honestly, more realistic characters. I am looking for someone who is willing to read really any young adult book with me with a set schedule, per se three chapters a day. I have been in a slump for a while now and need motivation to start reading again. If anyone would like, please don't be scared to message me.